Turn the handle and step inside our premium collection of internal doors and external doors. 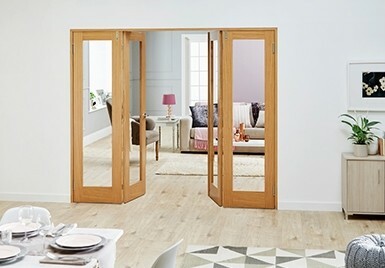 We know that light, space, security and noise reduction are paramount for your sense of place – as a leading door specialist in the UK, we’re here to help you achieve just that, with a gorgeous selection of traditional and modern doors. We stock a variety of stunning contemporary doors, as well as luxury doors and more specialised models, like fire doors for commercial spaces and rental accommodation. 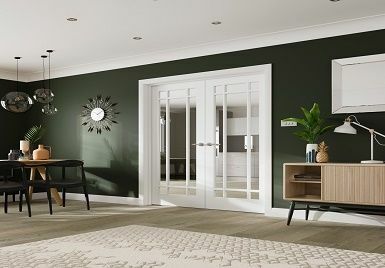 Our delivery services extend nationwide, so browse the Emerald Doors collection, and discover the perfect accompaniment to your décor. Our manufacturing skills aren’t consigned to the designs you’ll find on our website. We’re able to construct one-off, custom made doors, including bespoke fire doors for specialised installation. Just get in touch with the look you have in mind. Searching for a unique entrance to your home? To boost the kerb appeal of your property, consider custom-made external doors. Whether you’re renovating your home or building from the ground up, we work closely with our customers and the trades to create gorgeous made to measure doors. Sometimes, it’s nice to have a change of scenery, even within the same interior. Our room dividers fit this purpose magnificently, creating a distinction between two halves of your space. They come in a gorgeous variety of finishes to suit any interior. 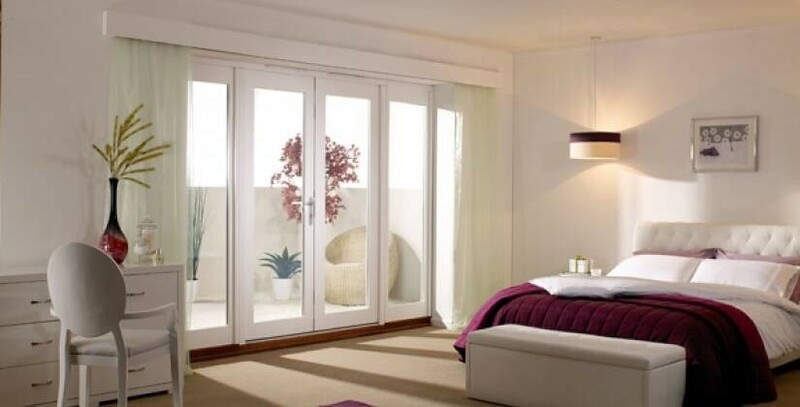 Our Internal French Doors are available in several designs, from elegant sliding French doors to room dividers with plenty of glass. For a classic look, explore oak French doors, which form some of our most popular items. Not all types of wood have the same lustre, appearance or durability. Thankfully, we have a large selection of oak doors which are made from carefully selected oak, a top-grade choice for your investment. Our great choice of Internal doors includes glazed oak doors with glass panelling, and oak fire doors for unique protective solutions. Oak is a great insulator – on top of that, it has a huge range of visual tones, complementing most furniture you might have in the home or premises.Our internal French doors are available in several designs, from elegant sliding French doors to room dividers with plenty of glass. For a classic look, explore oak French doors, which form some of our most popular items. 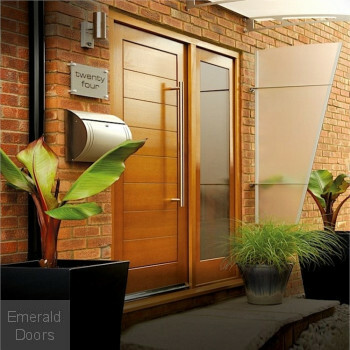 With Emerald doors, you’ll never miss the mark for fantastic design at a good price. Before you buy doors online, consult with our team, who’ll deliver free expert advice for your interior and exterior door needs. Our door showroom transplants those ideas to reality, shaping your decision-making. Additionally, we aim to get the door of choice in your hands three to five days after the order’s been made – it’s all part of our quick dispatch service, there to give you a handle on swift implementation.